WESTPORT, CONN, May 29, 2018 − Connecticut-based medical device innovator Lumendi, LLC has announced it has received United States Food and Drug Administration (FDA) 510(k) clearance for the DiLumen Is™ Endolumenal Interventional Scissors, a sterile, single-use, disposable monopolar electrosurgical device for cutting, dissecting, and cauterizing tissue within the digestive tract during endoscopic procedures. This is the fourth device Lumendi has developed as the company continues to advance minimally invasive endolumenal therapies. 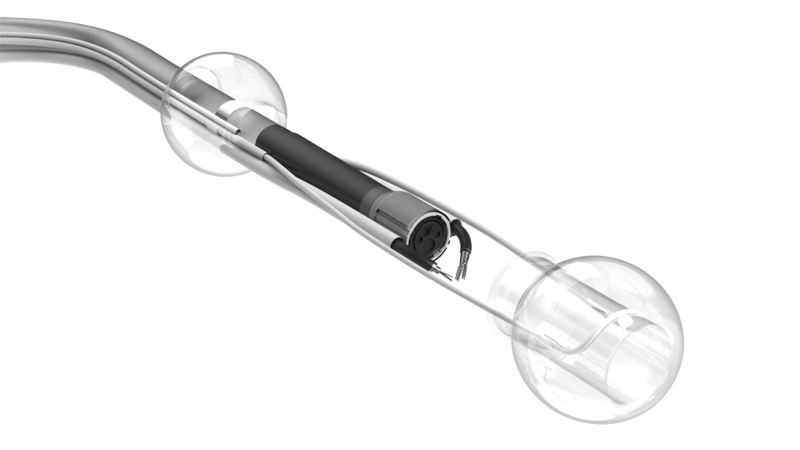 “The DiLumen platform of devices, now complemented by DiLumen Is, is designed to further facilitate and improve technically difficult and time-consuming endoscopic interventions for colonic lesions, such as polyps, a common condition that affects millions worldwide, and may replace invasive open surgical or laparoscopic procedures for patient benefit and potentially reducing healthcare costs,” said Dr. Peter Johann, CEO, Lumendi, Ltd. Adequate tissue manipulation and traction, combined with effective cutting, dissecting and cauterizing, continues to be a major challenge for therapeutic procedures in the digestive tract. These new Endolumenal Interventional Instruments are based on Lumendi’s initiative to improve access and tissue manipulation in the colon to help move many gastrointestinal surgeries to less invasive endolumenal procedures. The DiLumen™ EIP consists of a single-use, soft flexible sheath that fits over standard and small-diameter endoscopes. The device employs two balloons, one behind the bending section of the endoscope and the second that can extend in front of the tip of the endoscope once at the lesion site. When both balloons are deployed and inflated, a stable Therapeutic Zone (TZ) is created. This TZ facilitates more localized insufflation and manipulation of the colon and may provide better access to lesions. With the addition of two working channels for DiLumen Ig and DiLumen Is, tissue can be manipulated, cut and dissected in a way that may improve removal of lesions during endolumenal interventions. Lumendi also reports that, to date, clinicians have completed over 400 procedures with the commercially available DiLumen EIP with no serious device related adverse events. Three clinical studies using the DiLumen EIP have also been completed, further demonstrating safety and cost effectiveness. The studies are expected to be published in the near future.